Attendees dancing at the Pride and Prejudice Regency Ball. 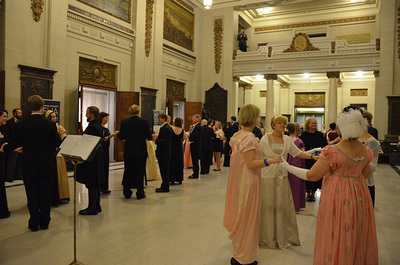 View of attendees dancing at the Pride and Prejudice Regency Ball at Memorial Hall. Many of the attendees are dressed in traditional clothing.